I managed to find employment. Okay, so it’s only for a couple of weeks. I did manage to get a few days in Seattle out of it for training, and on top of that of course is that any job is good because money is involved. We’re getting to that point of being stretched too thin, so money is a very very good thing that we need right now and I am thankful for every bit I can get. Quick notes on Seattle: yes, it rains a lot. The Space Needle isn’t as impressive as I expected. I did enjoy the architecture especially near the water. There wasn’t much of a nightlife during the week, but I did manage to get fries with gravy after midnight at The Hurricane Cafe. Fries and Sausage Gravy, which I read about in a review of The Hurricane Cafe but sadly they had no idea what I was talking about. They did scrape these together for me though. 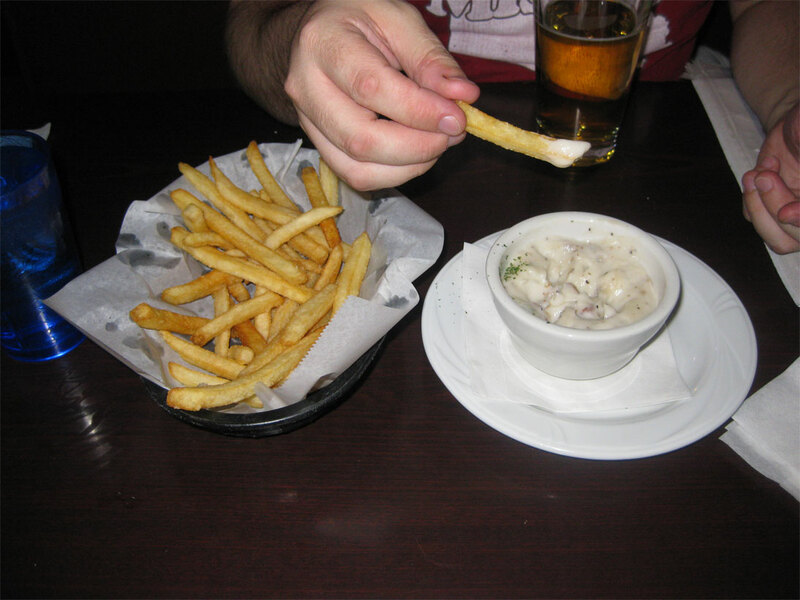 My last post did discuss my eating habits and that last sentence did mention me eating fries with gravy, however, I have made some good small steps to improve my lifestyle. Since that post, I have not consumed any carbonated beverages except for some beers (mainly very tasty Coffee Stout from St. Louis’s own Schlafly). My wife and I watched Food, Inc. which is an interesting look at the dark side of how our food is made with some semi-graphic imagery of animals in the slaughtering process. Since then my wife has gone vegetarian. She even has committed to Tofurky for Thanksgiving. I just need to switch her from 2% to Skim Milk now or just buy a 3rd milk variety for the home, since we already have Whole for our son. We are trying to walk more regularly, getting in at least 3 walks of 1.5-3.5 miles in each week. I need more activity if I want to see some weight loss out of this. In the two and a half weeks since my last post, I have lost a measly 3 pounds. With my wife’s new diet and the purging of most unhealthy foods from our home, I should see more progress on this front. My birthday is tomorrow, on Thanksgiving, so after I devour my cajun injected turkey stuffed with cake, this plan will be back on track. I was kidding about some of that. The space needle is so much more impressive when there are people from Circe du Soliel dancing on the outside of it as they hang from ropes. How did you get on with Gill Bates? And how were your deep fried potatos with sausage gravy? It was a contract thing with Gill. They hire a marketing group to do some promos for them. Marketing group hires a bunch of hip young folks to give their brand a good name. Boom. The fries with gravy were spectacular. The sausage is essential though. I tried it without at Courtesy and it just was not the same, more solidified vegetable oil with white gravy. It doesn’t rain a lot. Just when people visit. It hasn’t rained for over a week now, thank you very much! 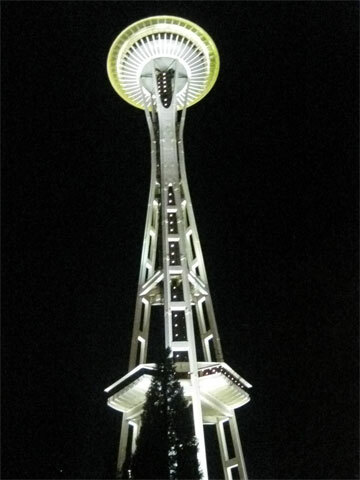 The Space Needle is an eye sore and the only reason it’s still standing is because it’s a World Fair landmark. I hear the food is really awful. In a survey once done here 75% of Seattlites said they would rather have their mother’s raped by Mr. T than eat there. The Hurricane though, I do love the Hurricane.